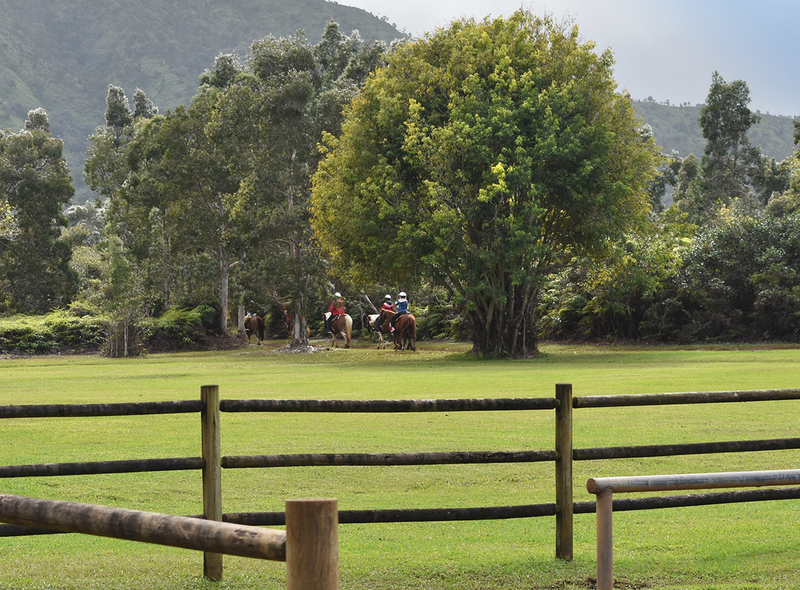 Although the first rodeo champs in the America were Hawaiians, horseback riding is not among the postcard images normally associated with the Islands. But it should be. 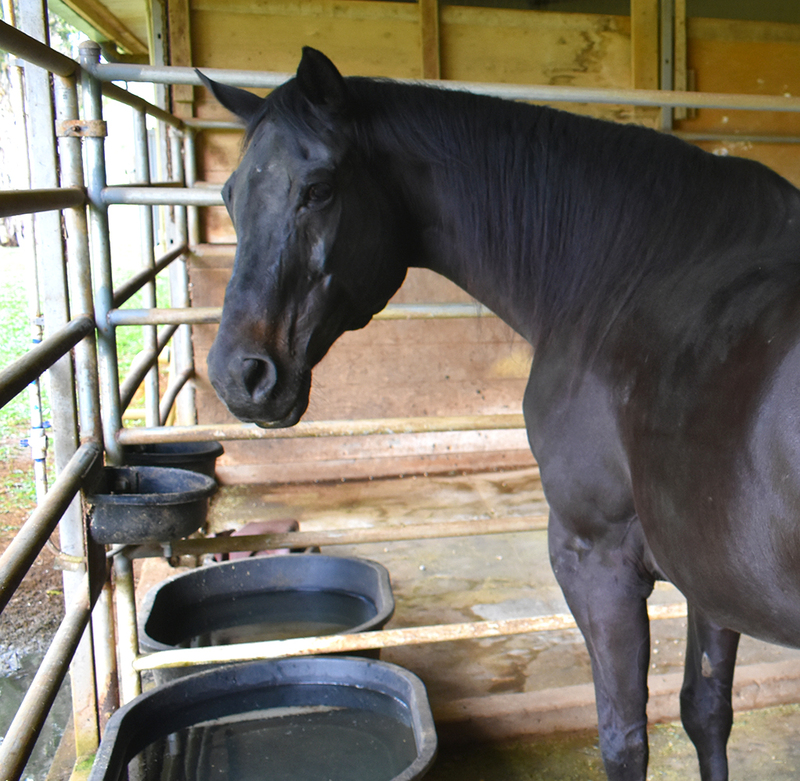 If you like riding horses, or have thought about giving it a try, head for the magnificent Silver Falls Ranch on the North Shore. Who’s happier here, the horses or the horse people? Karly and tawny Ohia (above) would call it a tie. 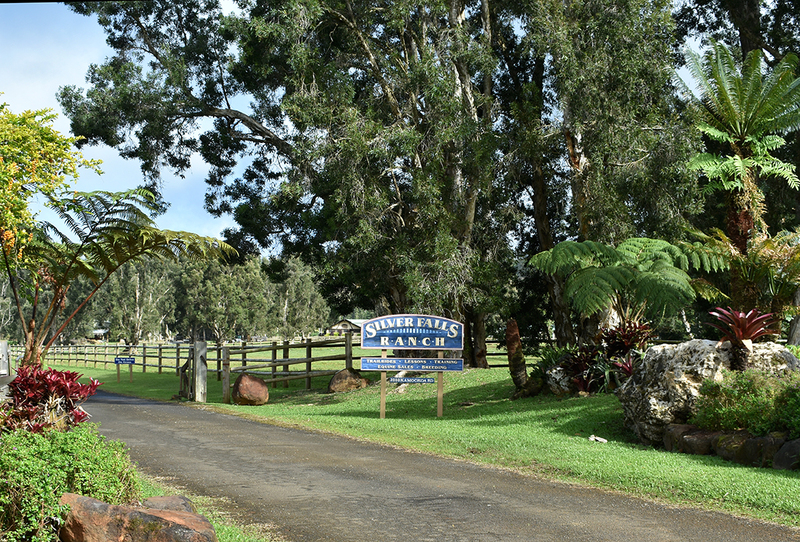 The ranch and adjoining property are several hundred acres—which border the 15,000 acres of the Halele’a Forest Reserve. About 80 acres are a manicured botanical garden. Framing the scene are the fluted slopes of Mount Namahana and its adjoining jagged green ridges. It’s surreal. 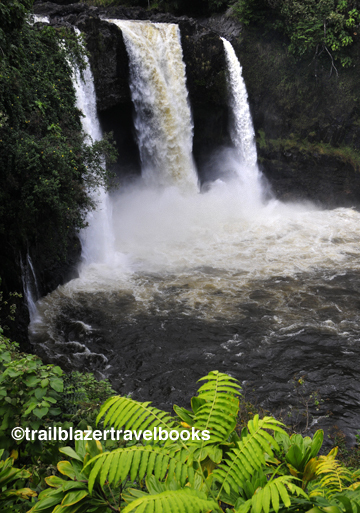 The cascade that is Silver Falls serves up a prime swimming hole. Riders are served lunch here. 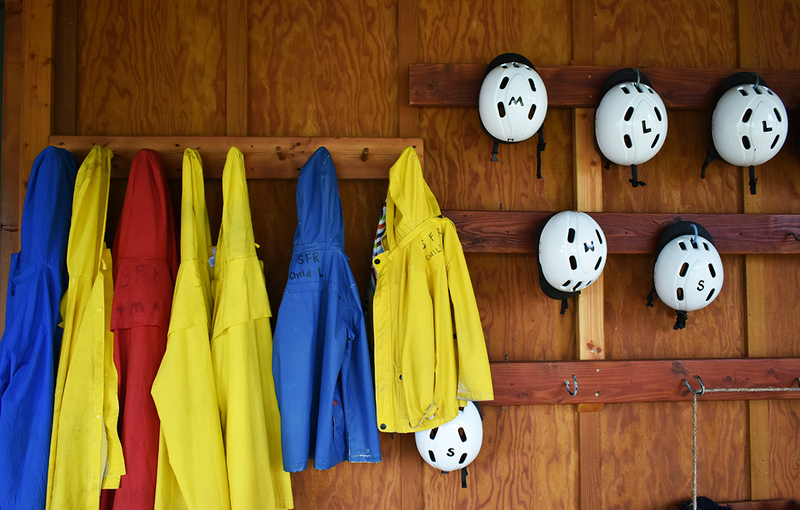 Silver Falls Ranch is organized, clean, and neat as a pin. Manager Donna Hunt keeps the place humming. 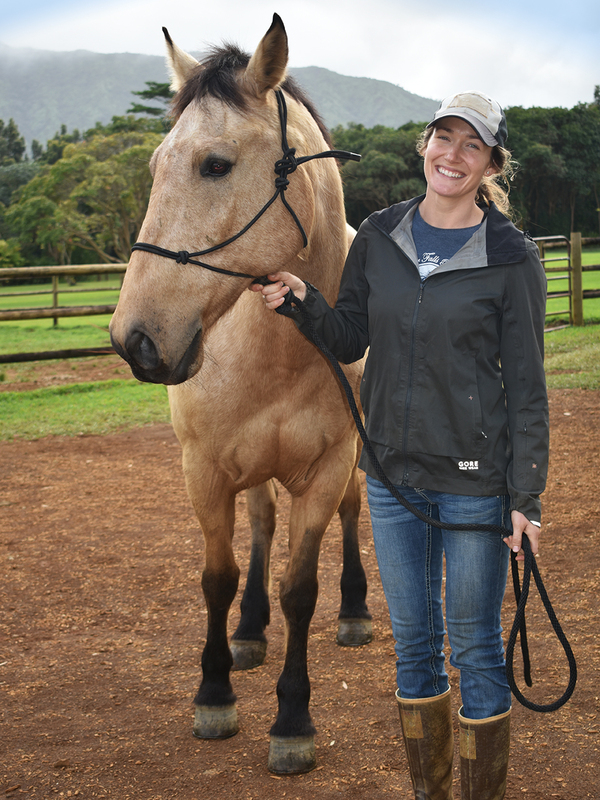 The ranch accommodates riders of all sizes (unlike some other stables) and experience levels. Rides are up to a half-day in length. 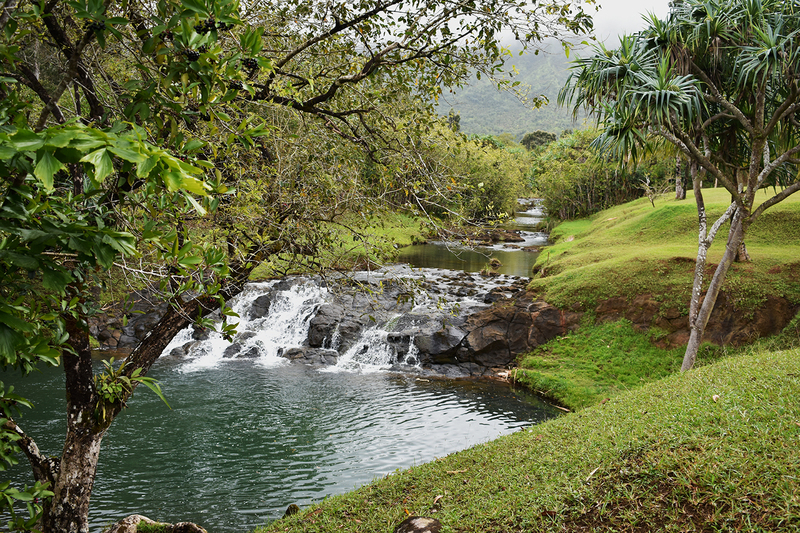 Most trips skirt the Makaleha Caldera, the volcanic origin of Kauai—though you’d never guess it by looking today at the lush wetlands. Big Blue, by all appearances, loves his job. The ranch can also set up private outings. Donna says hiking may also be offered in the future, but for now the only way to see the place is from the saddle. 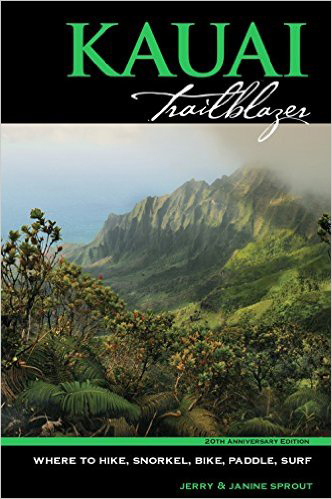 Often enough, throughout the history of Hawaii, people with a ton of money buy up land and gate it off from the public. 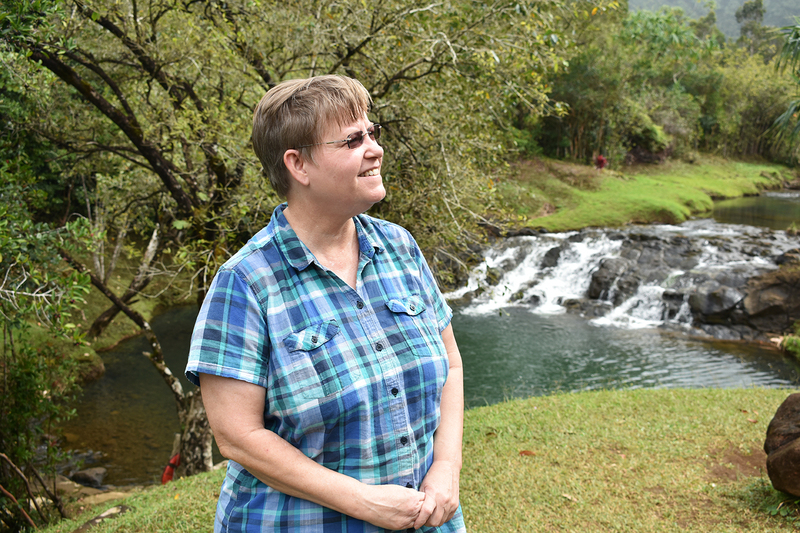 Silver Falls Ranch is a shining exception, owned by people with a vision to make Kauai a better place for everyone. 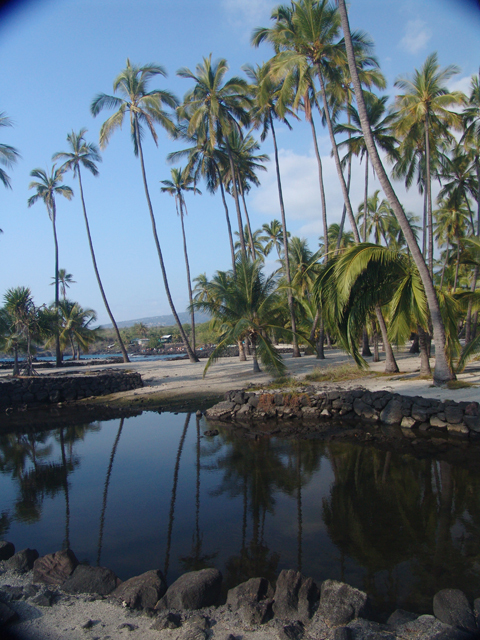 ← Big Island: C’mon over, the Air is Fine!